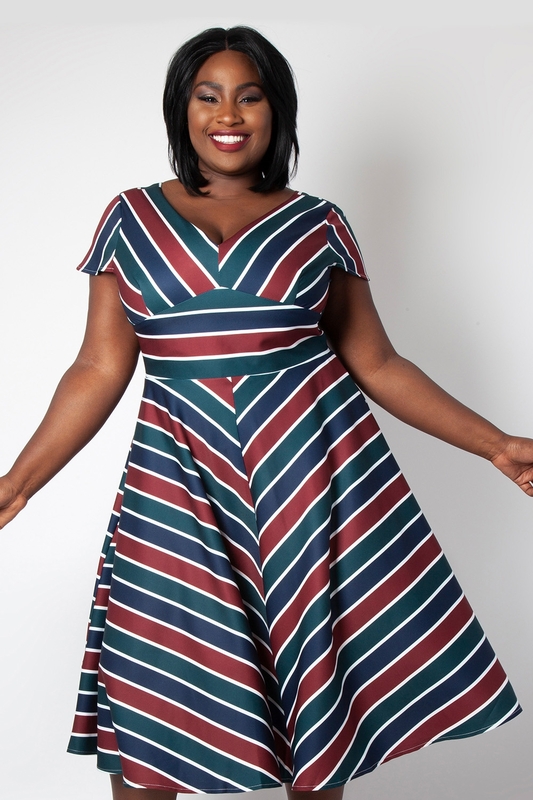 Get Jitterbuggin’ in our Addison Striped Swing Dress! 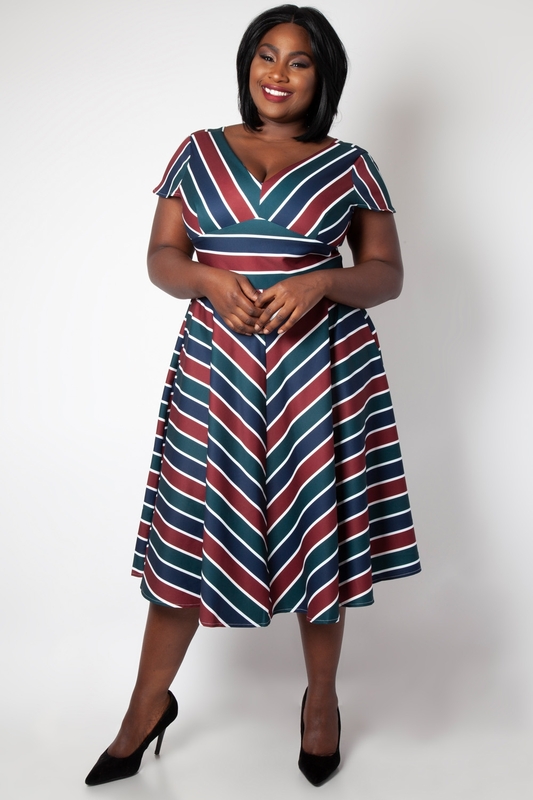 The pattern and contrasting colours on this dress create a revolving tricoloure when you’re whirling and twirling around. Talk about getting your kicks on! Love the look? 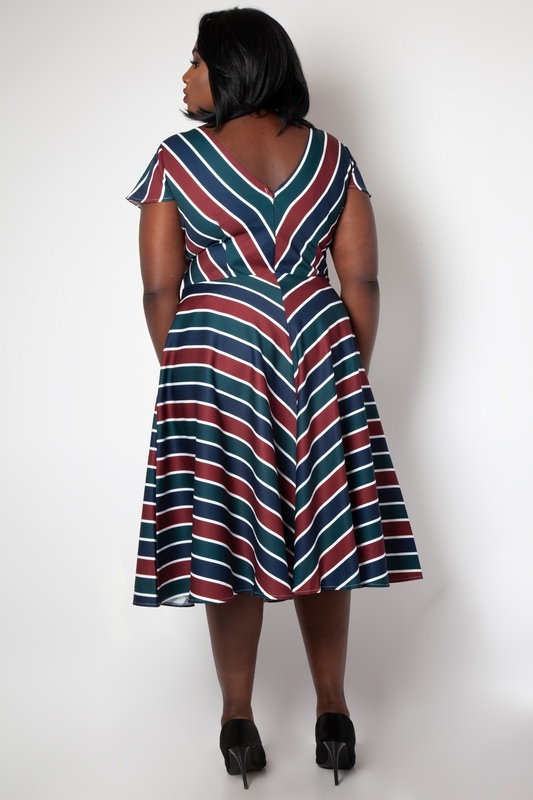 Check out the Madelyn Striped Full Circle Skirt!